405 nm UV LED instead of lamp which makes it maintenance free lasts for 30000 hours. Up to 3000 layers per hour, which is the fastest available in the Indian market. Long lasting Teflon tray which reduces the requirement of frequently replacing the build tray. 144 point calibration system ensuring >95 % light intensity uniformity across build platform. A Comprehensive software package right from pre-processing to machine operations intuitive GUI making it easier for unskilled operators to operate machine. 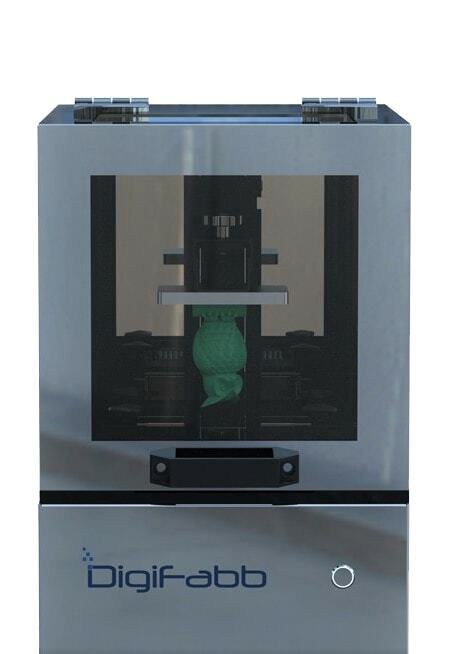 Ideal for 3D Printing service providers large-scale jewellery manufacturers dental labs.